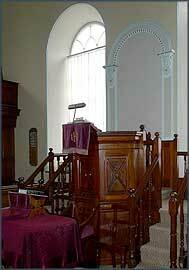 Brynberian Chapel is one of the oldest nonconformist chapels in north Pembrokeshire. It remains in use as a place of worship and has a large burial ground associated with it, with graves dating back to the 18th century. Images are currently for illustrative purposes only and may not represent the final ones that will be used.